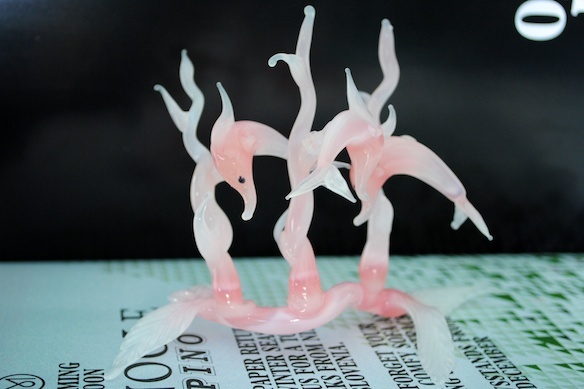 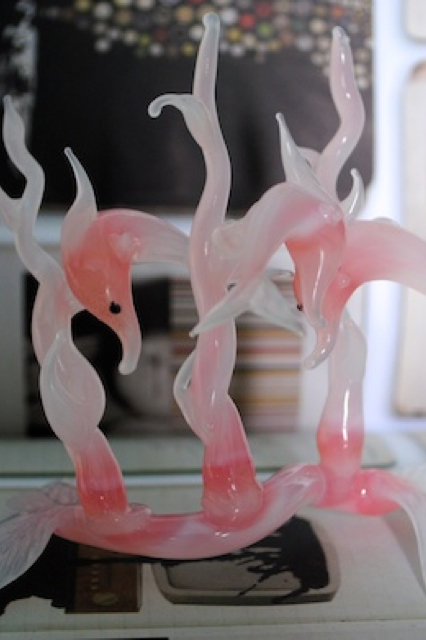 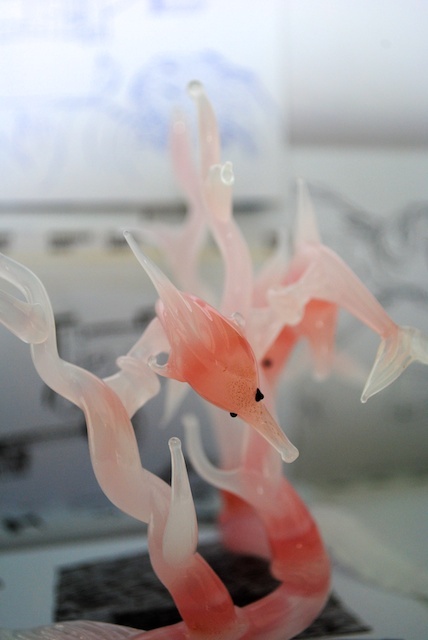 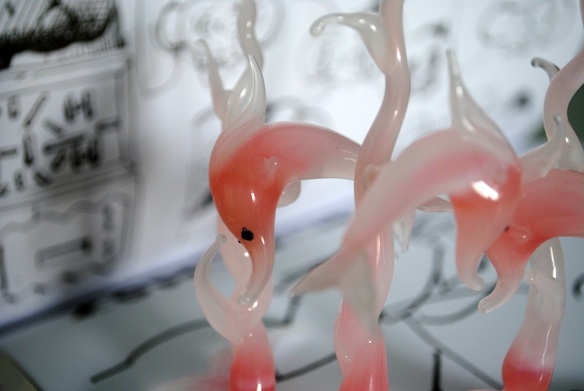 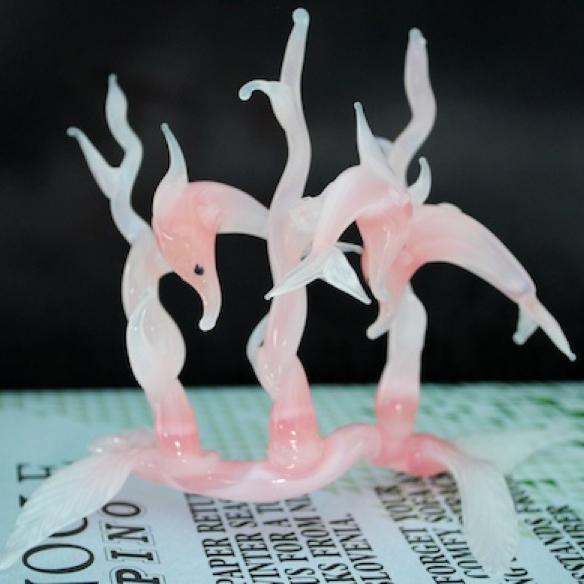 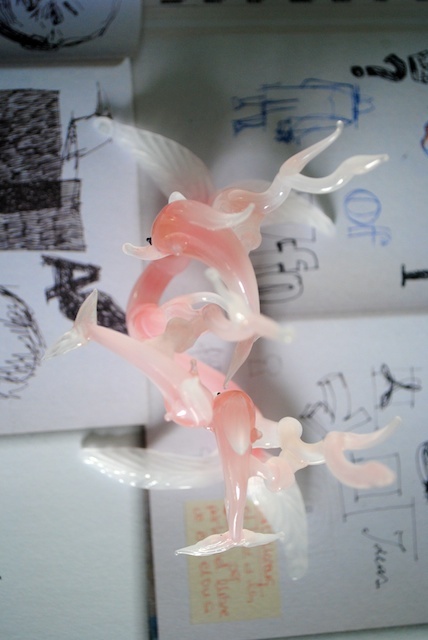 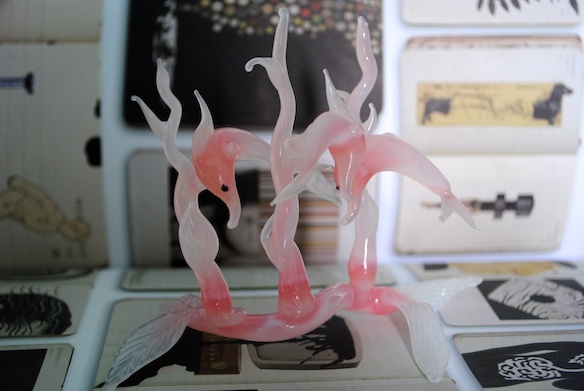 This artwork in Murano Glass presents dolphins swimming at the bottom of the sea in between the sea flora. 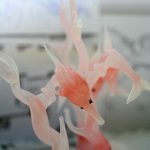 The artist has designed this glass artwork with the opal color to provide a sense of continuity between sea flora and fauna. 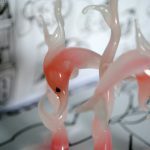 In fact, the dolphins seams to hide themselves between the sea plants. 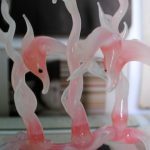 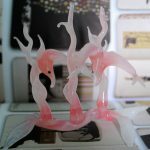 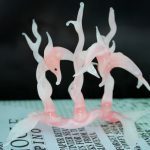 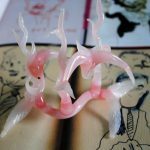 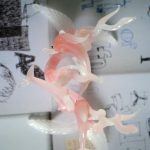 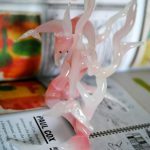 This glass aquarium with dolphins 100% handmade with the lampworking technique has been created with Murano glass. 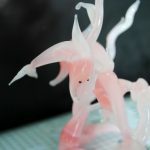 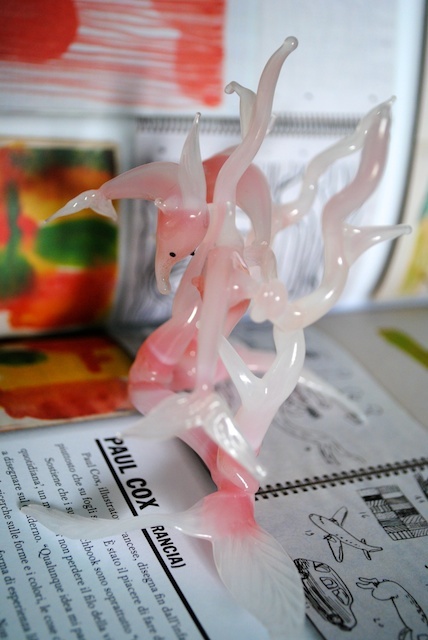 The glass master has merged two of his previous artworks in order to represent this beautiful sea animal in his natal environment.